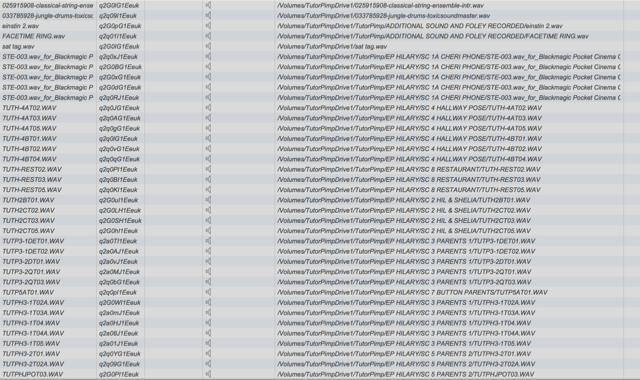 It looks to me like the offline audio in the AAF is all from WAV files. If you choose to "Reference WAV files in place", the audio from WAV files will not be embedded in the AAF. This means that if you open the AAF on a different computer to the one that created it, the WAV audio will be offline in Pro Tools. Unless there is a reason to use "Reference WAV files in place" (for example you have limited disk space and will be using Pro Tools on the same system as FCP), I would reccomend you don't "Reference WAV files in place", then your audio should all be online when you open the AAF. Oh will do. Thanks for the tip. Yes let me know where to upload the AAF. Or I can share via google drive or something. Thanks for your help! Your AAF will be too large to attach to a forum post. Would you like me to send you details for an FTP location that you can upload it to? The message about media not being from a WAV file is because you have turned on the option to "Reference WAV files in place". Did you mean to turn this on? It is much simpler to leave this option turned off unless you specifically need it.
" Some media was not from a WAV file so it could not be referenced and was instead embedded in the AAF. See Console for details." The aaf won't attach. The site just keeps trying to upload it then refreshing and dropping the file. Ok as requested here is a sample of the problem. It's a smaller chunk of a larger project. 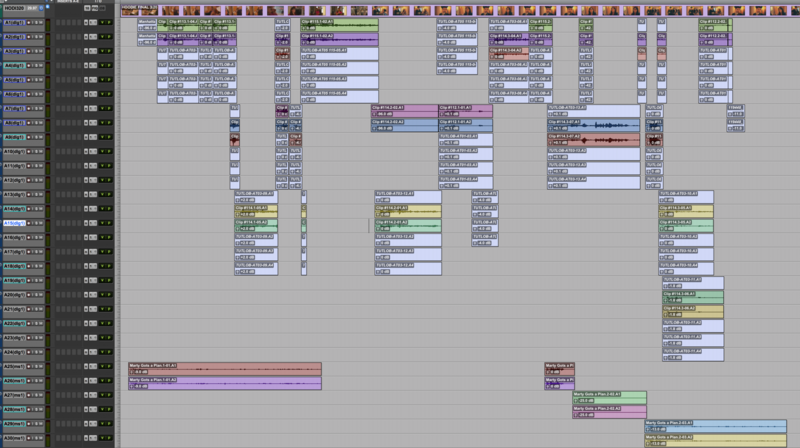 The files called "TUT...." are all my separate audio files that were synced up to the video/audio labeled "clip..."
Attached is an image of the files in ProTools and in fcpx plus the timeline and the aaf. Thank you so much. I am really hoping to figure this out. 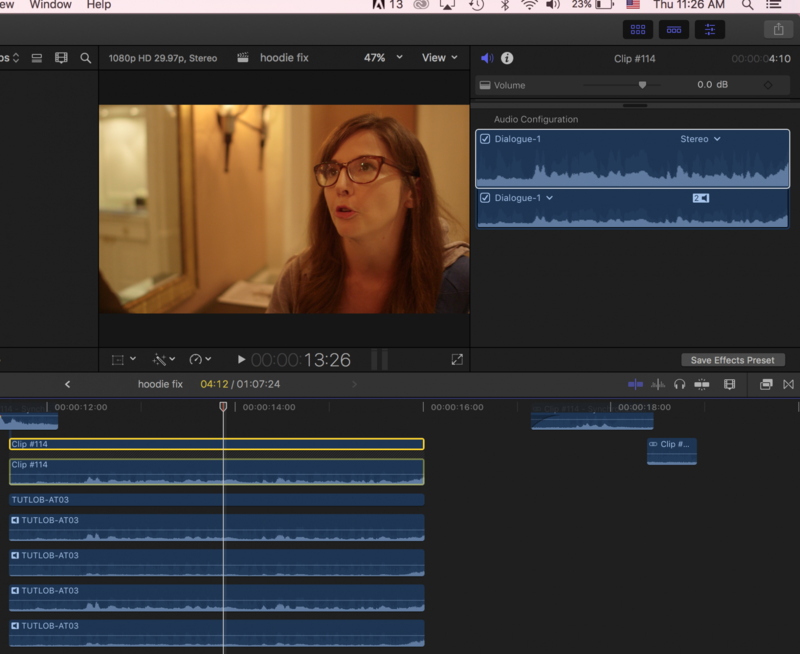 The only thing that is maybe affecting this is how the audio is bundled in FCP X when you sync within the program. Are you familiar with the FCP X synchronize function? These screenshots are at about 12:20 in the timecode. But again the TUT audio files are all missing throughout. It might be worth tryinga 1.5 fcpxml as those are processed differently. Please let us know whether that makes a difference. The "Metadata View" selection will make no difference. 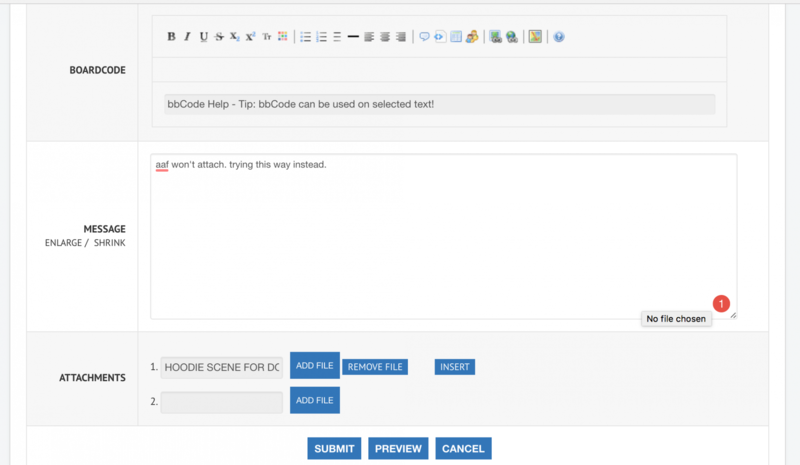 Can you please attach your fcpxml, and tell us the name of a clip (and the time code that it is in the project) that is missing in the AAF? There is so much missing, it's not one single clip. Like synced audio on a few clips. And music on other parts. Ok so I checked my preferences. yes, I have it set to discard disabled clips. I have been using v1.6 should I switch back? also what about the dropdown. "extended"? I don't see the option for "Reference WAV files in place"
Have you tried exporting as a v1.5 and a v1.6 fcpxml? Does that make any difference? 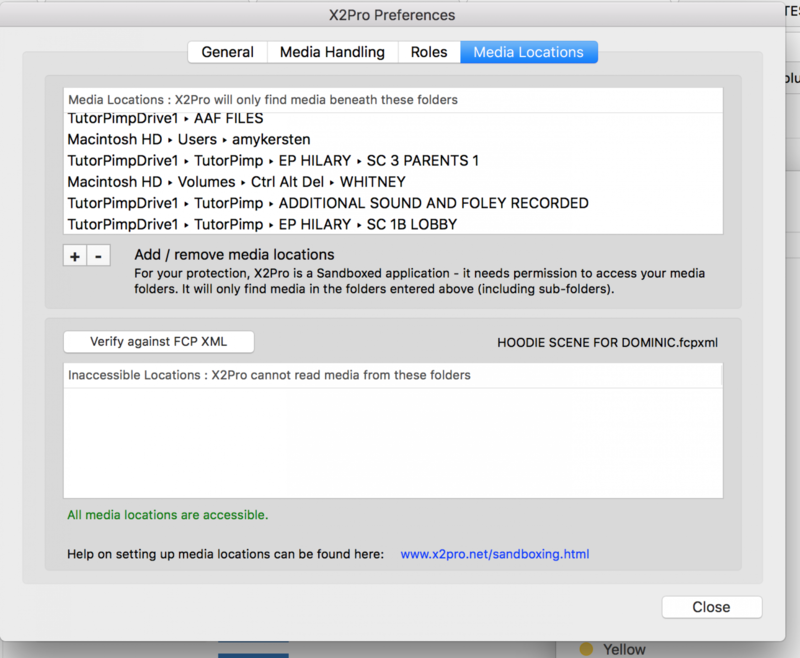 Do you have X2Pro set to "Discard disabled clips", or set to "Reference WAV files in place"? I have posted before on here. I have loved your software and used it with FCP X without issue since 2013. I am so so sad but I have tried all of your advice, updating my timelines. and updating FCP X. The AAFs are just missing massive amounts of audio still. This all started when I updated to your most current version in January. My workflow is exactly the same but the Pro Tools user I'm sending files to, just doesn't have all the files from the raw parsed via the timeline. Has anyone else had this issue? I used to recommend this program as a solid purchase all the time and I just can't believe that a software update now makes it useless to me, or at least from my current point of view it does. I would love to find out that it's just me or something. But I'm pretty savvy and after 8 weeks of experimenting, given up hope. Again I have not changed anything about my workflow. Just updated software. Attached is one my recent AAF reports. Any thoughts before I officially surrender?